When I came off the CDT in 2013 I read an online journal written by a woman named Katherine who hiked the Pacific Northwest Trail that year. 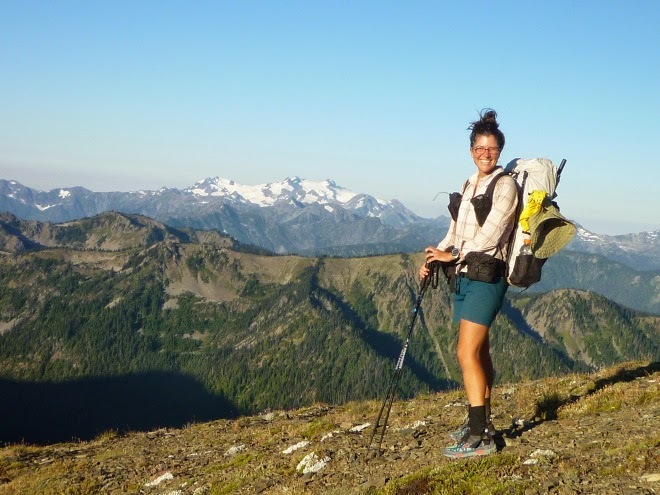 The PNT is a trail that’s been on my radar and I was exicted to find a detailed trail journal from a solo woman thru hiker…and to the best of my knowledge, the first woman to solo hike the PNT(badass!). It’s a great journal and we emailed briefly as I thanked Katherine for keeping a daily blog of her hike and she mentioned having seen my blog while researching gear options. Imagine my joy when over a year later, I get an email from Katherine that she too is planning a solo Hayduke thru hike this spring with the same timing as I have planned. As the fates would have it, Katherine is from Seattle, so we were recently able to spend a day together to see if we might be compatible enough to start the Hayduke together…and the good news is that we are! Our plan is to drive down to Moab together at the end of March and just see how it goes. Both of us are independent hikers (and bloggers!) with prior exprience of going solo, so we are both confident in separating if we need time alone or if our hiking styles don’t match up. Who knows, we could end up not seeing each other again after the first night or we might end up hiking all the way to Zion together. Either way, we’re both relieved to know another thru hiker that will be out there since the Hayduke is so remote and rarely traveled. Since we hope to hike together or at least overlap from time to time, I wanted to give Katherine a proper introduction. While attempting to write a fitting bio for the complete awesomeness that is Katherine, I realized that I could not put it into better words than she does on her PNT blog, so please click here to read about her previous adventures on the PCT, biking the Great Divide Mountain Bike Route, her equally awesome husband, their love of math and personal business educating teachers and students, their two goats(and chickens), and her love for dance. While you’re there, I recommend reading the whole PNT blog sometime this winter as it’s a great read on a new trail. The good news is that Katherine will also be doing a daily blog on the Hayduke. She is just getting the blog started now, so sign up and/or bookmark it now as much more is going to be added in the months to come. Enjoy getting to know Katherine and I’ll soon be posting more on the Hayduke and the detailed planning process we all know I love (yes completely sarcastic there!). 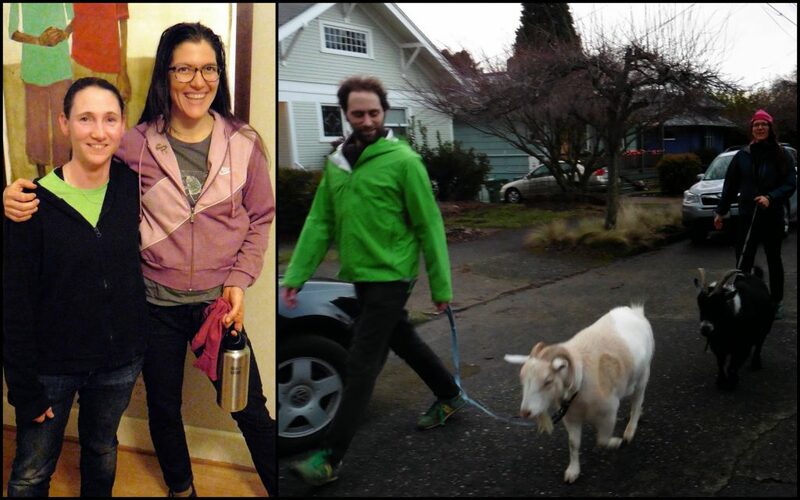 Just walkin’ goats in Seattle…and yes Katherine is tall (5’10”). A nice advantage for the Hayduke scrambling ahead!